Draíocht is a jewel in Fingal County Council’s crown, one of two flagship arts venues in the county (the other is the Seamus Ennis Centre in The Naul). Draíocht serves a catchment area of 120,000 people, with the most ethnic diversity of any county in Ireland. Since the venue opened in 2001 it has developed a strong reputation for high quality arts provision for young people. The Visual Arts Programme has consistently been superb, first under the programming eye of Carissa Farrell, and in recent years in the trusty hands of Visual Arts Curator Sharon Murphy. As an arts educator Sharon Murphy has an extraordinary talent at linking innovative and accessible arts programming with a young audience. ‘The PAINTing Exhibition’ is the second of three strategic exhibitions focussing on technique in art (the first was on Drawing), and features a wide range of paint techniques used by four contemporary painters: Susan Connolly, Bridget Flannery, Geraldine O’Neill and Liz Rackard. Susan Connolly’s work builds up layers of paint on canvas or board, and then often peels away that paint, revealing that which lies beneath. Her large site-based installation in the Ground Floor Gallery features oil on canvas on a metal mount. 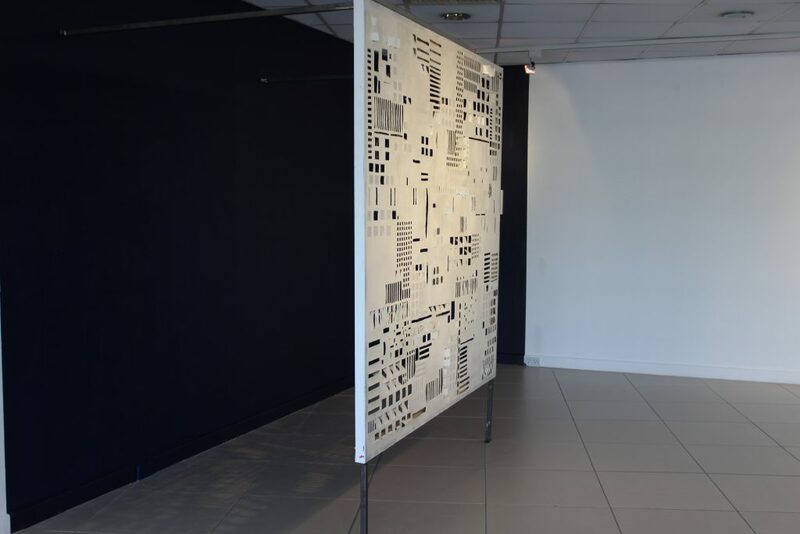 The canvas has been cut to reveal hundreds of small opes, ‘windows’ revealing the space behind, and indeed the space within, as we catch sight of the layers of colour beneath the white outer layer. Connolly as an artist invites the viewer in, to engage with these oft hidden parts of a painting. The work is beautifully lit, enhancing the voids, and the spaces revealed within the canvas. Her other works are small covetable (and for sale) canvases. Bridget Flannery’s works are often made on found objects, some of which she will keep for many years until the right moment to work to completion. 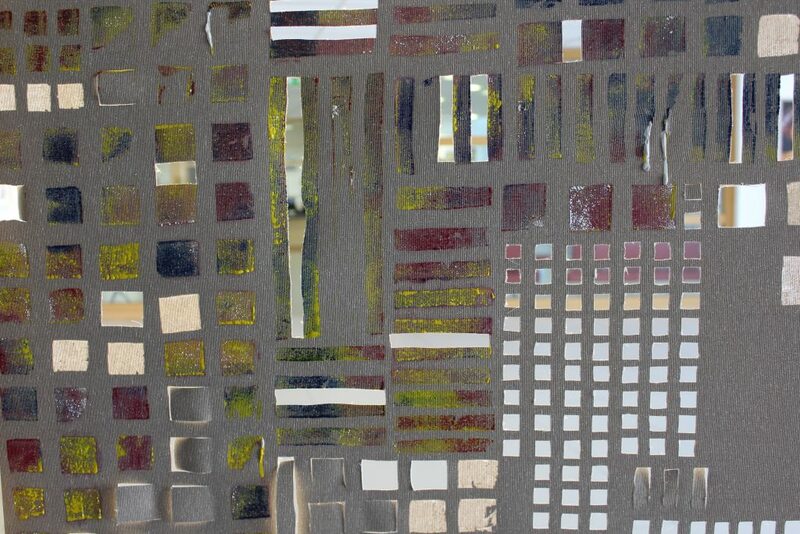 Working on natural objects such as wood, slate and stone she evokes the moods and colours of her native Carlow. The resulting paintings are a unique reflection of the Irish landscape, and skyline. They mix both traditional painting with a sense of craft. 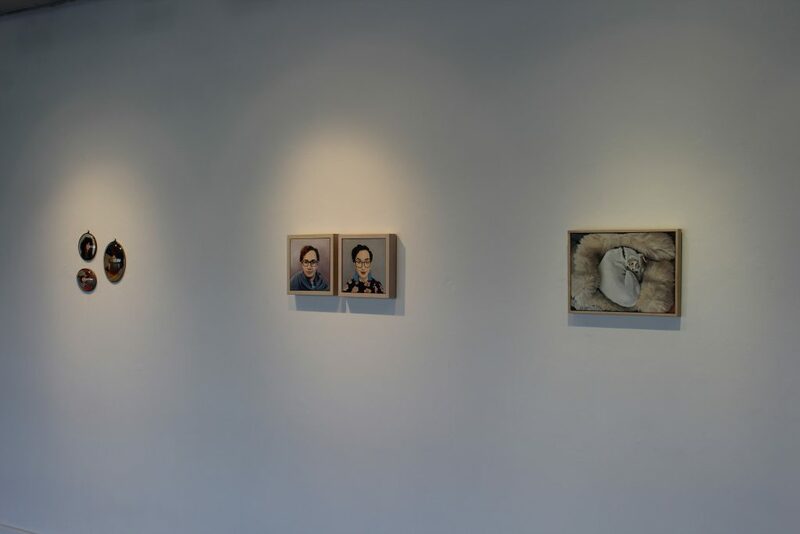 Geraldine O’Neill’s work is warmly welcomed back to Draíocht, where her solo exhibition Luan an tSléibhe was exhibited in 2008. The works selected for this exhibition show her strength, not just as a portraitist and an extraordinary painter of still-life, but as an interpreter of the past into the present. Geraldine takes the backgrounds of old master-pieces, and makes them her own by juxtaposing a contemporary portrait, in many cases of one of her own children. 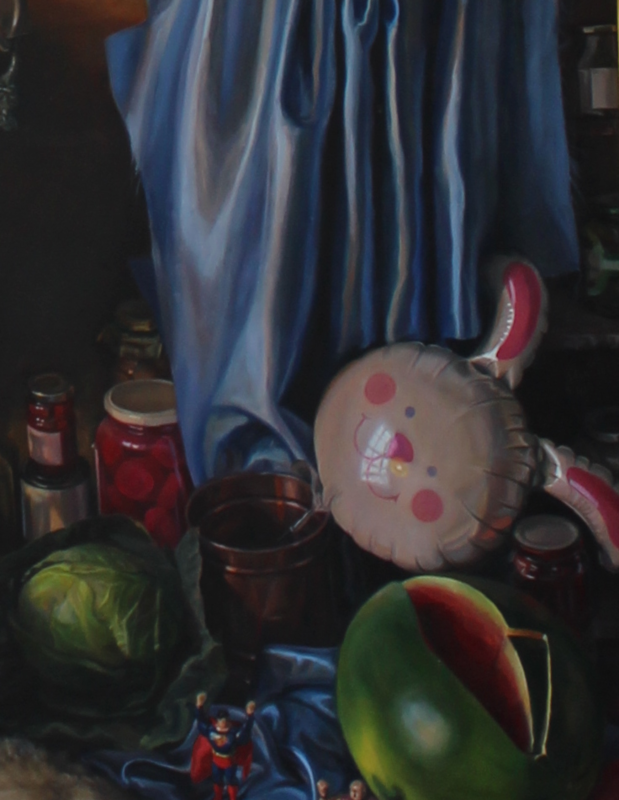 Her humour and deep understanding of art history contribute much to her unique Irish painting style. ‘Boy’ 2008 (on loan from IMMA), is a fine example of this, featuring a background mirroring that of Velasquez, overpainted in the present with a portrait of the artist’s son, wielding his paintbrush over the artist’s signature child drawings. 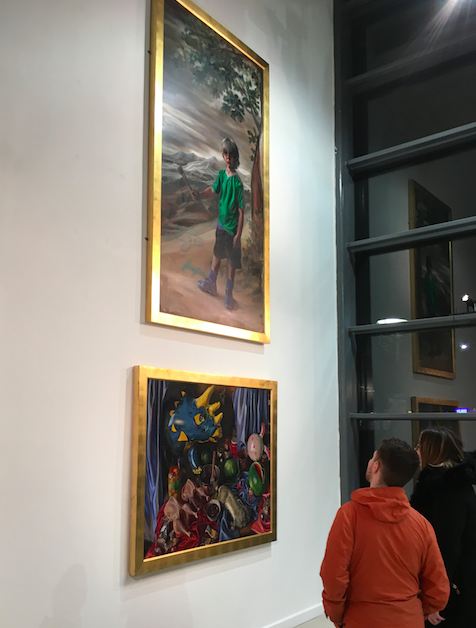 The audience of Draíocht are indeed lucky to get to see these works together; a rare glimpse into the best of contemporary Irish painting. Liz Rackard’s jewel-like work (in the words of Una Sealy RHA who opened the exhibition) completes the exhibition in the Main Gallery. There are fine paintings framed in domed glass frames (recycled from ecclesiastical iconography), transforming them into beautiful domestic miniatures. 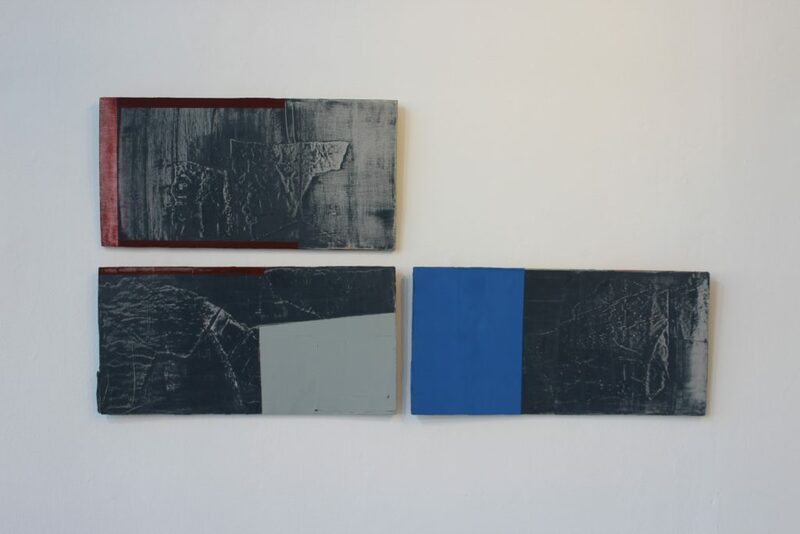 Rackard also exhibits here the Diptych ‘Eoghan’, which was previously selected in the last RHA Annual show. It appealed greatly to me then both in concept and technique, but it really shines here in Draíocht, as if it was destined to be viewed here, among the youngest population in Europe. The Main Gallery’s exhibition is augmented and complimented by a selection from the collection of The Arts Council of Ireland An Comhairle Ealaíon, in the Upstairs Gallery. The art collection of the Arts Council of Ireland has been a vital support to living artists for decades, and the works selected here are a delight to see together. It is a glimpse into the careers of some of Ireland’s finest painters. The paintings selected here include works by Roy Johnston, Mark Joyce, Damian Flood, Richard Gorman and a stunning large scale oil on canvas ‘Argentina’ by Diana Copperwhite.